In an apparent attempt to quell the intense criticism it’s faced for failing to rescue the nearly 300 girls kidnapped by Boko Haram, on Monday the Nigerian government said for the first time that it knows where the girls are being held. 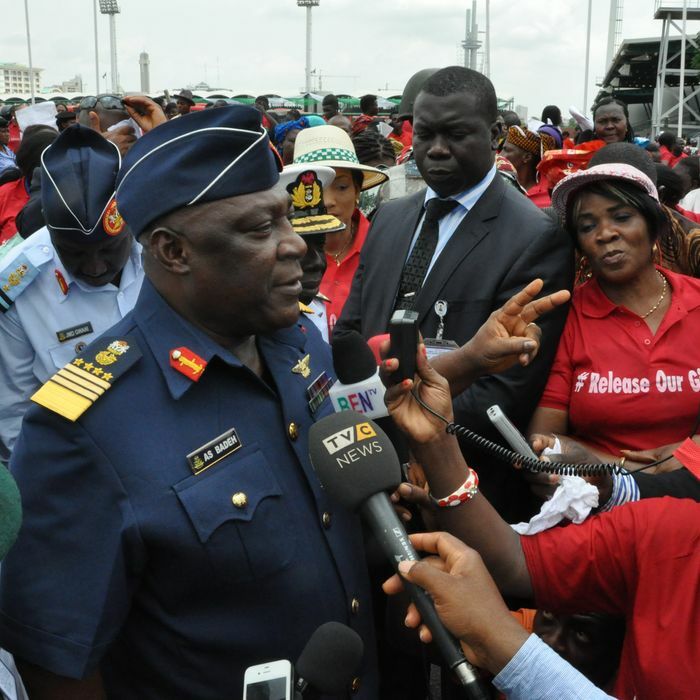 During a demonstration in Abuja that appeared to be organized by pro-military forces, Air Marshal Alex Barde, the military’s top commander, said, “The good news for the parents of the girls is that we know where they are, but we cannot tell you. We cannot come and tell you the military secret.” He also suggested that the military is unable to rescue them by force. In addition to declaring that it can’t use force to save the girls, the Nigerian government has also ruled out negotiating with the Islamist militant group. A source tells the AP that a deal was in the works last week to swap the girls for detained Boko Haram members, but Nigerian President Goodluck Jonathan called it off at the last minute. When the girls first went missing seven weeks ago, President Jonathan was reluctant to accept international help, but now the U.S., Britain, France, and Israel are aiding in the search. A U.S. Defense Department spokesman says the U.S. can’t confirm that the girls have been found.